"Bayard Construction was the contractor on our home, and they did a great job of meeting our goals and staying within budget. Working with a contractor you can trust and depend on is half the battle," Craig says. 3902 W. San Juan St.
Construction of a new 2,941 Sq ft 2 story home located in South Tampa. Building construction consists of block and framed exterior walls, conventional roof truss framing with dimensional shingles. Exterior walls where covered with Mediterranean stucco and accented with custom architectural foam work. Interior finishes include 20” travertine floors throughout, granite countertops, solid wood cabinetry, designer lighting, designer plumbing package, all stainless appliances, and dark walnut hardwood flooring. The entire home was completely prewired with computer and surround sound wiring. Other interior finishes included 10’ high ceilings (22’ in foyer) custom archways, niches, and one of a kind master tub deck with shower area. The exterior grounds included new sprinkler system, Florida friendly landscaping, concrete drive with walks, and perimeter Pvc fencing. Construction of a new 4,047 Sq ft custom “Mediterranean villa style” home. Building construction consists of concrete block exterior walls, conventional roof truss framing covered with dimensional shingles. The exterior walls where covered with Mediterranean stucco, custom architectural stone work, and custom foam crown moldings for accents under the soffits along with the windows. Interior finishes include travertine floors throughout, granite countertops, solid wood cabinetry, restaurant level stainless appliances, designer lighting, high end custom plumbing package that included jetted steam showers, full-house water filtration system, and vessel sinks. The entire home was completely outfitted with computer and surround sound wiring. Other interior finishes included domed cathedral ceilings, archways, niches and 14” interior columns. The exterior grounds included new water wise sprinkler system, Florida friendly landscaping, and Brick-Paver drive with walks. Construction of a new 880 Sq ft two story historical garage. Building construction consists of framed exterior walls, conventional roof framing and roof trusses. Exterior walls covered with Hardi board siding and custom gingerbread frame work. Interior finishes included an artists loft complete with a custom paint and brush sink and then on the first floor a woodworking-welders shop. The exterior grounds included a new concrete drive, and historic styled exterior painting. Construction of this 441 sq ft Addition includes a new open porch along with 720 sq ft of interior remodeling in Master Bedroom, bathroom, and living room. Building construction consists of block exterior walls, and conventional roof framing that will be removed to add a second story in the upcoming year. Exterior walls were covered with Sand finish stucco. Finishes include Berber carpeting, custom marble tile work, custom shower enclosure, interior & exterior painting, and designer lighting & plumbing fixtures. Construction of this 707 sq ft Addition includes a two story porch along with interior remodeling in Master Bedroom, office, and living room. Building construction consists of block exterior walls, conventional and truss framing. Exterior walls were covered with Mediterranean stucco, and custom foam crown mouldings were installed for accents under the soffits. Finishes include satillo tile flooring, concrete cast stone balustrades, ornamental wrought iron railings, shop built rollup screen system, custom lighting fixtures and acoustical pre wiring. Construction of this 240 sq ft Pool Pavilion included a custom built in outdoor kitchen. Building construction consists of block walls and custom architectural roof framing. Exterior walls have been covered with stucco. Finishes include travertine tile flooring and decorative backsplash, Chadsworth columns; Custom built all wood cabinetry, Granite tops, Designer plumbing fixtures, new lighting fixtures that included Misting fans, and all stainless steel appliances. Construction of this 1800 sq ft Addition included a Master bedroom, Master bathroom, Game room, Office, two Bedrooms, and there also was interior remodeling throughout the entire existing home. Building construction consists of block exterior walls, conventional and truss framing, wood framed interior walls. Exterior walls were covered with stucco and custom foam accents. Interior finishes include ceramic tile flooring, carpet, new plumbing fixtures, new designer lighting fixtures, all custom interior trim including a new wrought iron stairway, stainless steel appliances. The exterior included a new sprinkler system, landscaping, wrought iron railings for upstairs balconies, and exterior painting. Construction of a new 1600 sq ft Family room and Master suite addition. Building construction consists of frame exterior walls, conventional and truss framing, wood framed interior walls. Exterior walls were covered with Hardi plank siding. Interior finishes including designer ceramic tile in bath, Hardwood flooring, custom mill work, custom cabinetry, faux painting on the interior walls, and custom built closet spaces. Construction of a new 3500 Sq ft home. Building construction consists of block and framed exterior walls, conventional roof framing and roof trusses. Exterior walls covered with stucco and custom stone work. Interior finishes include travertine floors, granite countertops, wood cabinetry, designer lighting and plumbing package, and hardwood flooring. The exterior grounds included new sprinkler system, landscaping, brickpaver drive, and exterior painting. The interior build out for this 1500 sq ft of commercial building space includes, demolition of existing rooms, drywall and metal framing of new walls, acoustical ceilings, electrical which included phone and data lines, fire sprinklers and security systems, trim work, painting and wall coverings, and flooring. Construction of a new 3500 Sq ft home. Building construction consists of framed exterior walls, conventional framed roof trusses, and wood framed interior walls. Exterior walls covered with Hardi-plank concrete siding and custom trim work. Interior finishes included ceramic tile floor, granite countertops, wood cabinetry and hardwood flooring. The exterior will include new sprinkler system, landscaping, brick pavers, and exterior painting. Construction of this 1080 sq ft Addition is to include a Master bedroom, Master bathroom, Game room, Florida room, Office, Outdoor Foyer, and there is interior remodeling throughout the entire existing home. Building construction consists of block exterior walls, conventional and truss framing, wood framed interior walls. Exterior walls will be covered with stucco. Interior finishes include ceramic tile flooring, concrete refinishing, carpet, new plumbing fixtures including a Japanese soaking tub, new lighting fixture, all interior trim including a new stairway, appliances. The exterior will include new sprinkler system, landscaping, gravel foyer, wrought iron railings for upstairs balconies, and exterior painting. Construction of a new 200 sq ft Family room addition. Building construction consists of block exterior walls, conventional and truss framing, wood framed interior walls. Exterior walls will be covered with stucco. Interior finishes including ceramic tile flooring, Faux painting on the interior walls, and French doors. The conversion of this Screen room to a Florida room consisted of demolishing of existing screen room, framing, drywall, new French doors, windows, granite countertops, tile flooring, interior and exterior painting. Renovations and remodeling of existing units included demolition of existing walls, construct new walls, new interior finishes including plumbing and electrical work, repaint, new carpet, and tile. The remodeling of this historical garage consisted of re-creating the original roof system and converting the front of the garage to accept two vehicles. All work was completed in a historical fashion to compliment the existing home. The interior build out for this 5400 sq ft commercial building includes, demolition of existing restrooms, drywall and framing of new walls and restrooms, acoustical ceilings, electrical which included phone and data lines, fire sprinklers and security systems, painting and wall coverings, and flooring. The renovations and remodeling of this project included elevating the home to the correct level to insure that is structurally sound. Framing and carpentry repairs, Drywall, cabinets, ceramic tile, paint, carpet, new appliances, lighting fixtures, and plumbing fixtures. Construction of a new 400 sq ft additions also 200 sq ft interior remodel on this historic home. Building construction consists of wood framed exterior walls, conventional framed roof trusses, and wood framed interior walls. Exterior walls will be covered with siding. All of the work performed on this job along with the materials will closely match the existing historic home. This home will be featured in this years Seminole Heights Historic Parade of Homes. Construction of a new 400 sq ft Master bedroom addition including a maser bathroom. Building construction consists of block exterior walls, conventional and truss framing, wood framed interior walls. Exterior walls will be covered with stucco. Interior finishes including ceramic tile and hard wood flooring also included are all new plumbing fixtures. Renovations and remodeling of the kitchen, living room, and two bedrooms. Remodeling of existing rooms included demolition of existing walls, construct new walls, new interior finishes, plumbing and electrical work, repaint, new carpet, and tile. Renovations of exterior of the apartments included concrete repairs, siding repairs, replacement of exterior doors, porch repairs, and window repairs. Renovations and remodeling of the kitchen, living room, and three bedrooms. Remodeling of existing rooms included demolition of existing walls, construct new walls, new interior finishes and electrical work, repaint, new carpet, and tile. Construction of a new 500 sq ft Family room addition plus 300sq ft interior remodeling. Building construction consists of block exterior walls, conventional framed roof trusses, and wood framed interior walls. Exterior walls will be covered with stucco. Interior finishes include ceramic tile floor and hardwood flooring. Construction of a new 480 sq ft Master bedroom addition including a maser bathroom. Building construction consists of block exterior walls, conventional and truss framing, wood framed interior walls. Exterior walls will be covered with stucco. Interior finishes including ceramic tile and hard wood flooring also included are all new plumbing fixtures. This project consisted of construction of a new perimeter fence to secure property. We also removed and replaced all front entry locks on all of the units and drained existing swimming pool for safety reasons. Construction of a new 1085 sq ft addition. Building construction consists of block exterior walls, conventional and truss roof framing, and wood framed interior walls. Interior finishes included ceramic tile and carpet. Renovations and remodeling to existing master bathroom included demolition of existing walls, construct new walls, new pluming fixtures which included a Jacuzzi tub, and ceramic tile. Construction of a new 530 sq ft addition. Building construction consists of block exterior walls, conventional and truss roof framing, and wood framed interior walls. 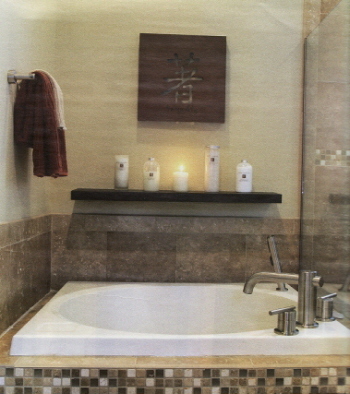 Interior finishes included ceramic tile and bamboo wood flooring. Construction of a new 3000 sq ft addition. Building construction consists of block exterior walls, conventional and truss roof framing, and wood framed interior walls. Interior finishes include gas fireplace, ceramic tile, hard wood flooring, solid wood cabinets, and granite countertops. Construction of a new 300 sq ft addition. Building construction consists of block exterior walls, conventional and truss roof framing, and wood framed interior walls. Interior finishes include new paint, ceramic tile, vanity, countertop, and new plumbing fixtures. Construction of a new 400 sq ft addition. Building construction consists of block exterior walls, conventional and truss roof framing, and wood framed interior walls. Interior finishes include new paint, carpet, and new lighting fixtures. Construction of two new homes in Lynn Lakes Subdivision. Building construction consisted of framing of the two new homes with conventional and truss roof framing. All interior walls were wood framed. Renovations and remodeling to existing screen room to convert it to a Florida room included demolition of existing walls, construct new walls, new windows, new French doors leading to it, and new ceramic tile. Construction of a new 2800 sq ft home. Building construction consists of block exterior walls, conventional framed roof trusses, and wood framed interior walls. Exterior walls covered with stucco. Interior finishes included ceramic tile floor, granite countertops, and hardwood flooring.